Traditional Laurel Hedging. 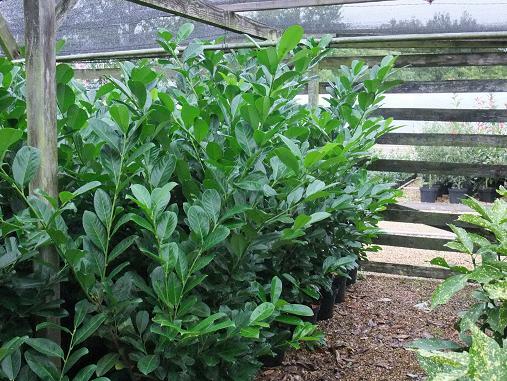 The form that we usually offer is the variety Rotundifolia, which has a more rounded, compact leaf better suited to trimming. 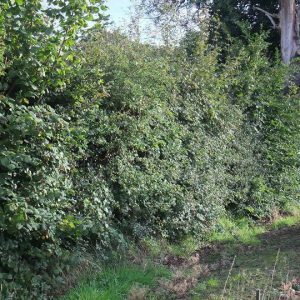 Best suited to hedges between 2 and 3m high. Will grow in sun or shade. We offer a variety of sizes, mostly frown on site in containers, and we can get other sizes to order. We recommend container grown plants, at not too large a size, as these establish much faster than the large rootballed plants. The large ones may give an instant effect when first planted, but unless they are in good soil and well looked after, they can often look untidy for the first few years.